As we came to realize only a few minutes into our time with the Android L developer preview build, it seems that Google has removed the clear all notifications button found in the notification bar. Whether this is a permanent change to Android by Google, we still don’t know (since this is a preview build), but well-known developer Koush wasn’t having it. 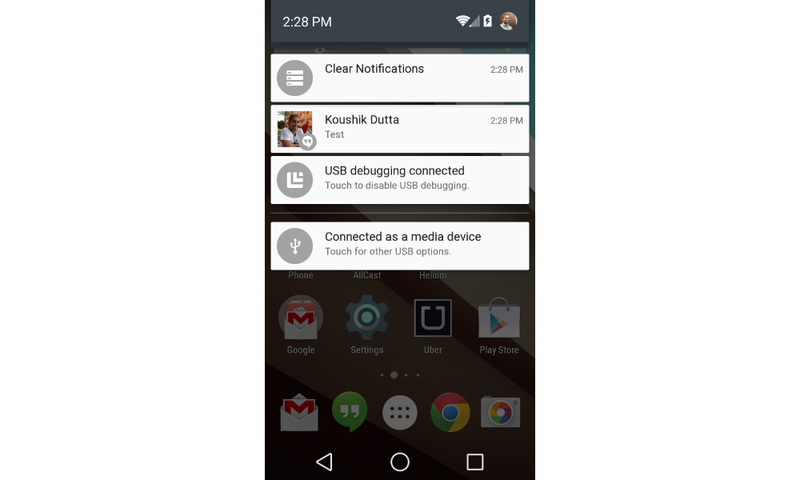 After seeing the community’s cries, Koush has quickly whipped up an app, which brings a clear all button into the pulldown section of the notification bar. To say that it is nice to have this button back would be an understatement. If you are running the Android L preview, download the apk by following the link below.